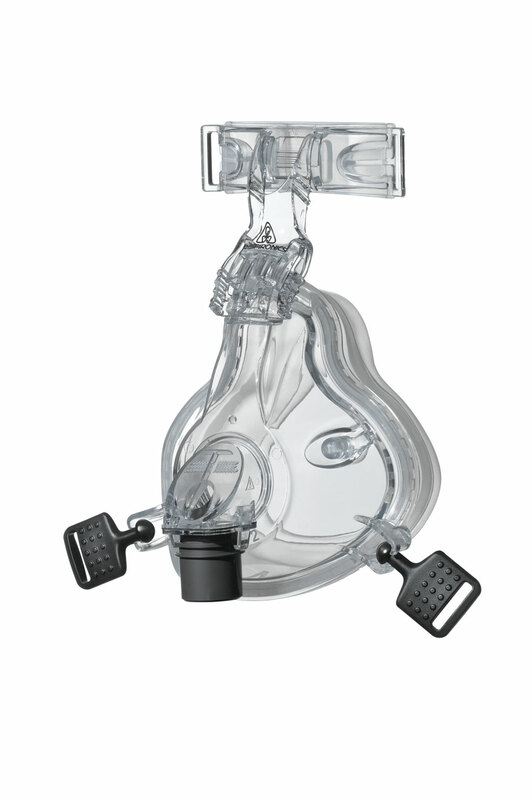 With great features like an adjustable forehead arm for optimal seal and comfort, and an innovative design that allows the mask to sit lower on the nose to eliminate pressure; the ComfortFull 2 is a truly comfortable full face mask for everyone who suffers due to mouth breathing during CPAP and BiPAP therapy! From Respironics, the ComfortFull 2 combines the great qualities of the Comfort Series of masks, like textured dual-flap cushioning and absolutely no latex in any of it's components. With patient requested features like a quick release hose swivel and ball-and-socket headgear clips so that the mask can be quickly and easily detached for increased nighttime mobility. The ComfortFull 2 includes Respironics redesigned "mushroom swivel clips" to help prevent damage to the mask frame.